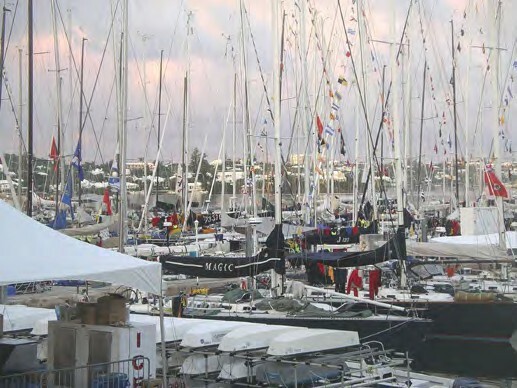 Over nearly 110 years, Bermuda Races have started at several American ports. But they all finished at the archipelago that nature and God agreed should be located 635 miles off the U.S. coast, just enough to the east of south so that the typical race isn’t a long slog, dead to windward. Discovered in 1515 by Juan de Bermudez and settled a century later, Bermuda has thrived on shipping, privateering, fishing, the Royal Navy, and (more recently) tourism. The quickest way to get people and goods around was in boats and ships sailing under the local Bermuda rig, with an ingenious, immense three-sided mainsail that predated the Marconi rig by over a century. This explains a comment by Dr. Edward Harris, Director of the National Museum of Bermuda: “As we Bermudians at St. David’s Lighthouse observe the Bermuda Race boats coming over the horizon to make their landfall, it may feel like we are seeing returning relatives, all decked out in fine variant liveries of the Bermuda rig.” The three-master Spirit of Bermuda, a regular Bermuda Race entry, carries this rig, as do Bermuda’s unique fitted dinghies. One of the oldest sailing organizations in the Western Hemisphere, the Royal Bermuda Yacht Club was founded in 1844 and held its first international race just five years later, when a schooner called Brenda came down from Boston and raced a local sloop called Pearl. RBYC has finished and helped run every Bermuda Race from the first one in 1906 to the upcoming 50th race in 2016. Fueled by Dark ’n Stormies and the sailor’s instinct for storytelling, an instant community springs up in the aftermath of any Bermuda Race. Lengthy seminars on deck, in cockpits, and around cabin tables concentrate on how the race was won (or, more often, lost). As the sailors were peering through the storm in hopes of spotting Gibbs Hill or St. David’s lights, at RBYC their families and friends were concerned about the boats. When an anxious woman insisted that she be told right now!! the location of a boat in which her husband was racing, RBYC manager Tony Marsh peered out a clubhouse window in the general direction of St. David’s Head, 15 miles away, and assured her that he spotted the boat’s running lights. 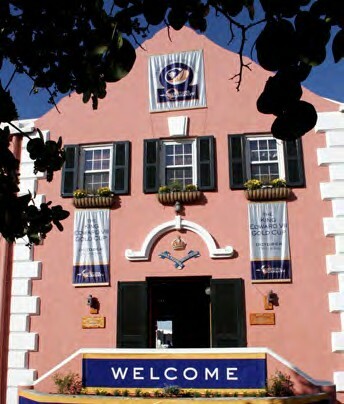 The home of Goslings Black Seal Rum and Barritt’s Bermuda Stone Ginger Beer, the island of Bermuda is said to be the birthplace of a cocktail made with those ingredients known as the Dark ‘n Stormy. Sailors completing the Newport Bermuda Race are traditionally greeted with a round of these tasty libations, shown here being mixed on the RBYC docks. Bermuda’s kindness continues throughout Bermuda Race week. On Friday, many boats race in the RBYC Anniversary Regatta, the last event of the Onion Patch Series that begins back in Newport and includes the Bermuda Race. 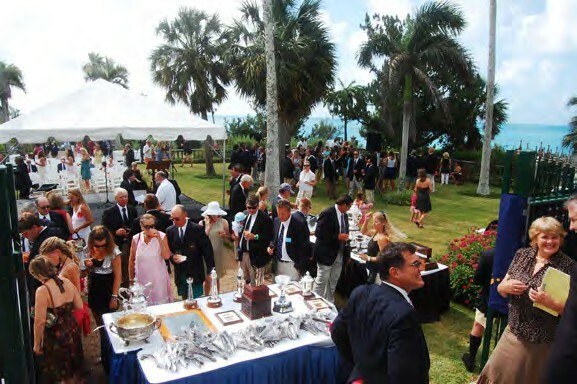 Come Sunday, most boats head back home – but only after the sailors wander back into the embrace of the Royal Bermuda Yacht Club for one last enjoyment of Bermuda hospitality. John Rousmaniere figures that while he’s sailed some 15,000 miles to or from the Onion Patch, he still hasn’t spent enough days on the island. His books include The Annapolis Book of Seamanship, Fastnet, Force 10, and A Berth to Bermuda, the race’s official history.